Have you made food resolutions this year? 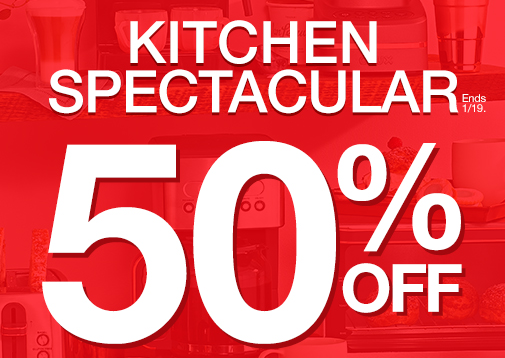 Then you will definitely want to take advantage of the online kitchen spectacular happening only at Macys.com! You’ll save 50% off everything you need in the kitchen from cookware and knives to electrics and gadgets online only through Thursday. In addition to 50% off savings, you’ll also get free shipping at $99+ and free returns. So whether you’ve resolved to eat healthier or simply to cook more at home this year, shop the Macy’s online kitchen spectacular to make those goals a reality for less!